← Cupcakes, bears and candy! 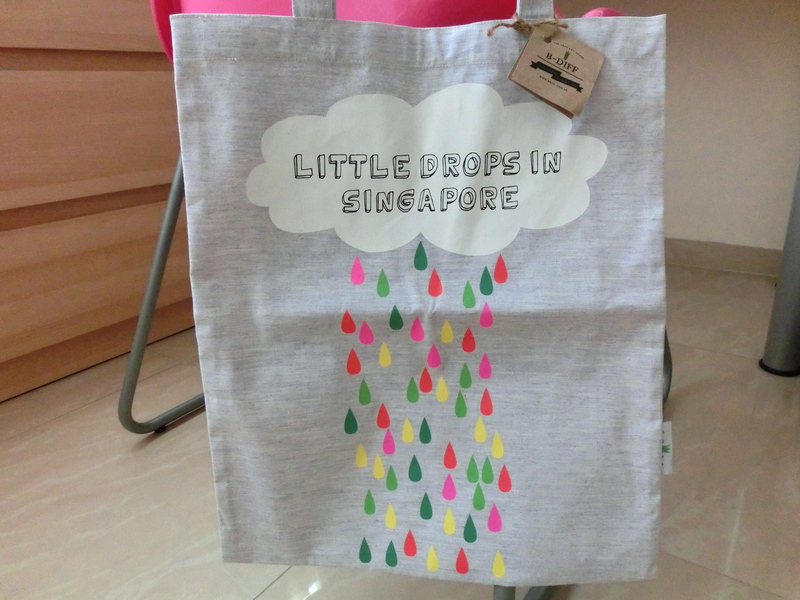 Here is a lovely tote bag by b-diff, from The Esplanade Shop. I was browsing around the store and this design caught my attention. They design and create wonderful and creative reusable eco-friendly tote bags that aims to bring a unique and fresh experience. And believe in saving the environment and try to generate as little waste as possible with their materials, fabrics and printing. B-DIFF also encourages their consumers to save the environment by using their bags. Each bag is unique with a different graphic concept and different themes are launched seasonally. 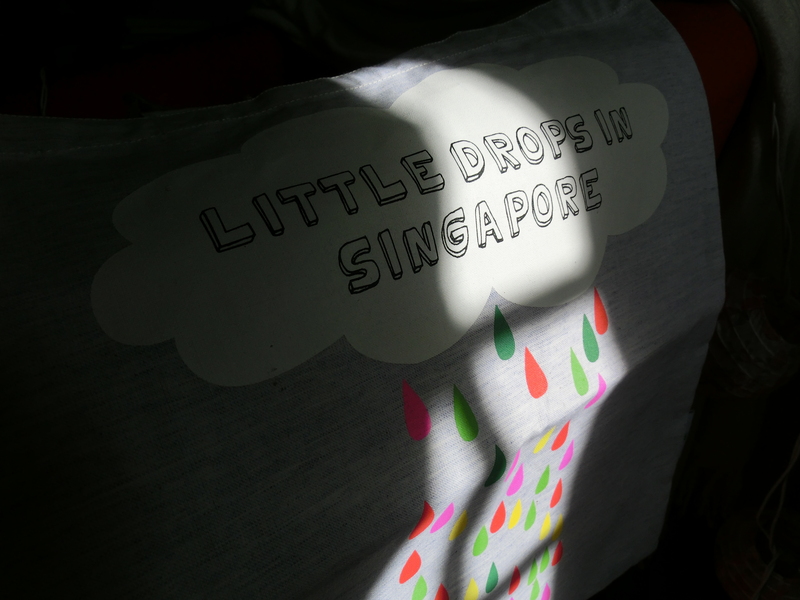 Their products are stitched and screen printed in Singapore where they spend months experimenting with different materials to source for the best cotton and canvas to make their high quality tote bags. (Read more about them here.) Fancy having your own design? 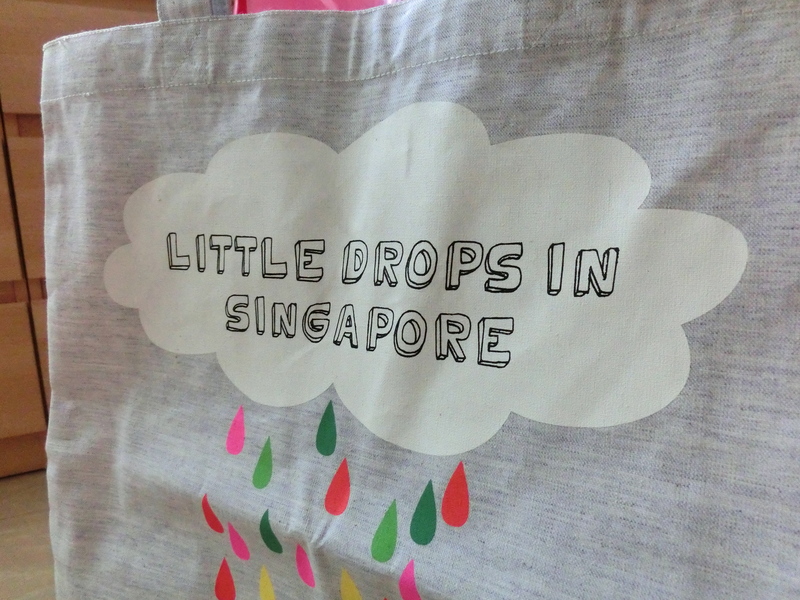 You can even design your own tote bag with just 4 simple steps! All you have to do is to fill up a form, email (sales@bdiff.com.sg) your design to B-DIFF, make your payment and voila! Price list for bag dimensions and design requests can be viewed here. Or if you would like to customize a tote, you may also send them your requests by filling in a form here and they will get back to you with a quotation. They also provide shipping! If you’re into beautiful handcrafted and designed eco-friendly products with a Singapore touch, do have a look! To view their new designs, click here. 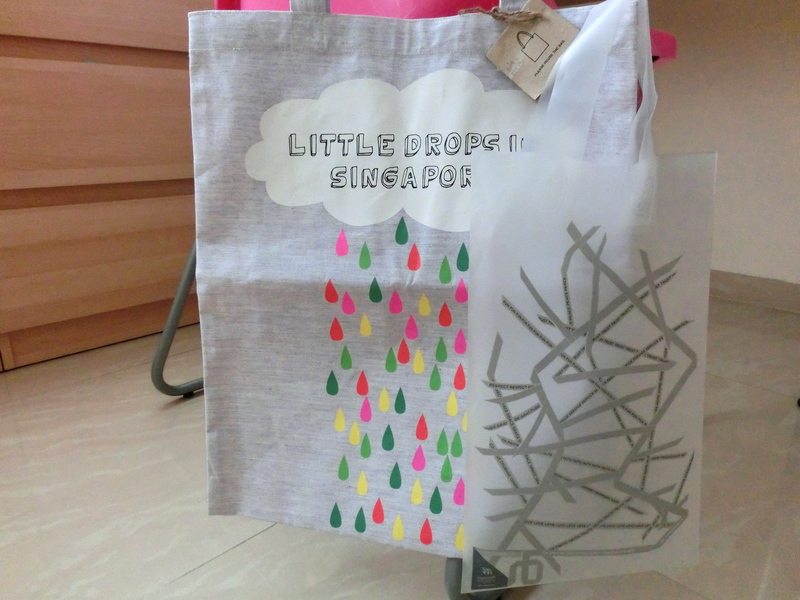 This entry was posted in bags, illustration and tagged b-diff, Bring Your Own Bag, creative, design, Esplanade, illustration, Little drops in Singapore tote bag, Make Your Own Bag, Singapore design, Singapore Designer Tote, Singapore Tote Bag, the tote bag maker. Bookmark the permalink.